All of us have read history and seen historical places to get a sense of it. But have you ever wondered how would it feel to taste history? To eat food prepared in the same way as people used to eat centuries ago? To eat in a place where famous celebrities, authors, and royals used to have it? Guess what? It’s not too late. We bring to you a list of the oldest functioning restaurants of the world. Situated in St. Peter’s Abbey, Austria, Stiftskeller is the oldest restaurant in the world. 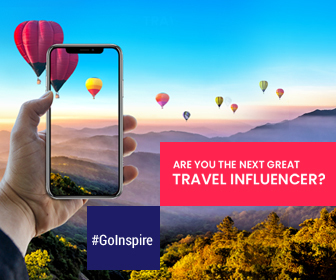 Its original structure still remains intact after centuries drawing visitors from across the globe to marvel at its magnificence and historicity that stand the test of time till date. Even though it has been renovated several times, there are many rooms that retain their original structure. The restaurant rose to fame when it was mentioned by Alcuin, a noted English scholar in 803 AD. For music enthusiasts, this restaurant is akin to paradise. Daily Mozart Dinner Concerts are held here wherein performers pay tribute to the legendary musician in period costumes. 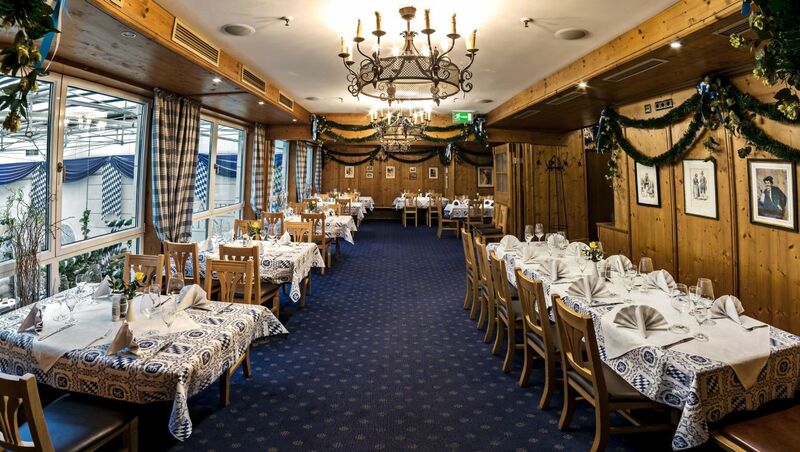 Traditional Austrian Meal is served in restaurant. Average meal costs 21.22 KWD. 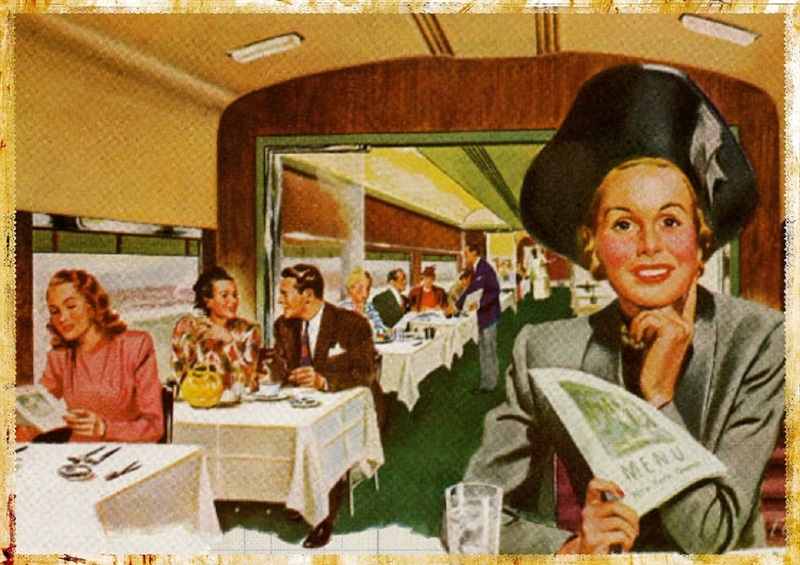 It is advisable to make reservation in advance (at least one day prior). In 1421, when King Erik of Pomerania granted permission to monks to charge for food and drinks, German monks founded Zum Franziskaner in present-day Old Town Stockholm. Over the years, it has served as both a sailor tavern as well as a lavish restaurant. The food served here still carries the original essence of founders’ German roots mixed with the local flavours of Scandinavian cuisine. The restaurant has been built numerous times over the centuries. The present day building was constructed in 1906. Although the building has been reconstructed, the taste of food and drinks has not changed since the day it opened in 141, almost 600 years ago. What will you get and for how much? You will get traditional Swedish and German meal here. The average meal cost is 12.12 KWD. Honke Owariya began serving customers as a confectionary shop in Owari region (in Nagoya) which was then relocated to Kyoto as the original owners were especially beckoned by the King during that time. The shop started off by offering soba rice cakes. However, around 1700 it also began making soba noodles. 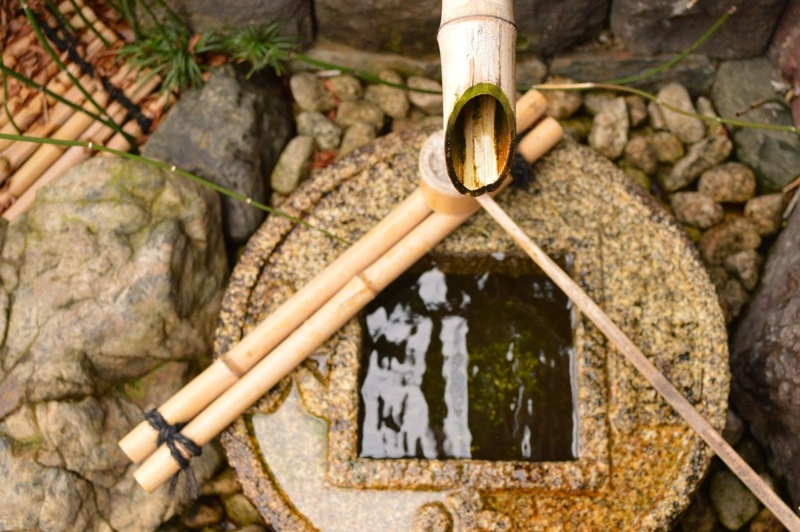 According to the restaurant owners, the pure water of Kyoto gives their food a special flavor. Honke Owaria continues to serve monks, shoguns and emperors till date. Even today, the royal family of Japan can be seen dining here when they return from Tokyo. The restaurant is set in a picturesque, calm and quintessential outpost in a street south of the Imperial palace in Kyoto. It has a beautiful ancient wooden exterior where you can enjoy your meal in the traditional Japanese way by sitting on the floor. The gardens spread over the area are a delight to the eyes. You can indulge in traditional Japanese meal in a traditional Japanese setting that will transport you to an era long gone. Average cost of meal is 9.09 KWD. If you would like to indulge in some luxury, La Tour d’Argent is just the place for you. It is a one Michelin star rated posh restaurant in Paris. 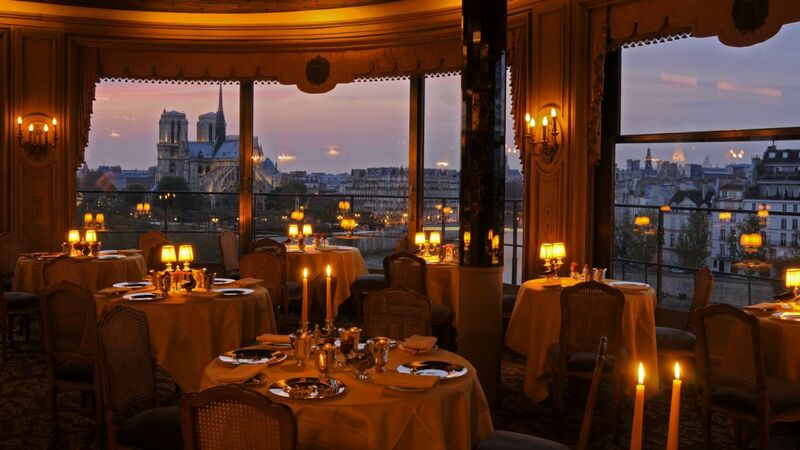 Dine like Parisian royalty while enjoying the view of Notre Dam Cathedral. You can enjoy authentic French royal cuisine here. An average meal costs 151.55 KWD. 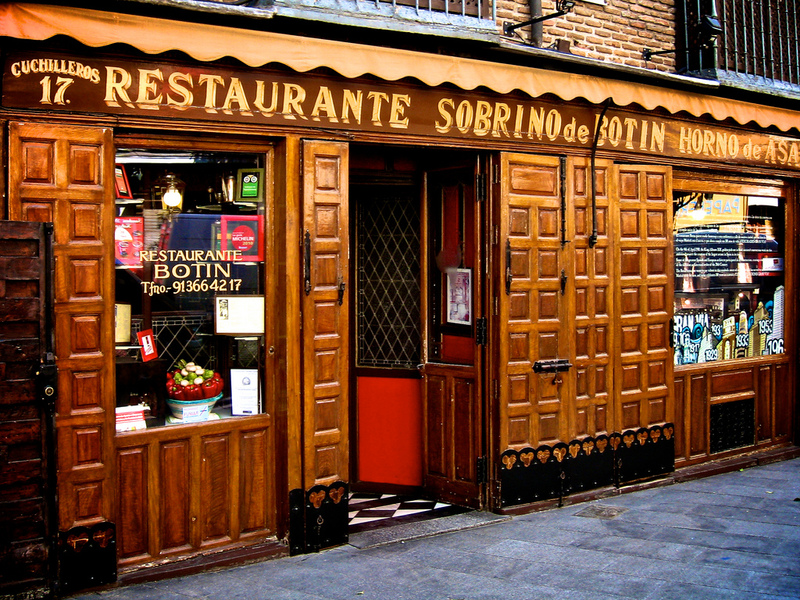 Sobrino de Botin is the oldest restaurant in the world according to Guinness World Record. Although there are many restaurants older than Botin, it received this official distinct because it continues to function in the same building with the same interior that was built in the 18th Century when it first started. Jean Botin, French cook and his Austrian wife originally started this restaurant as Casa Botin. However, no children were born to this couple so the restaurant was inherited by Mrs. Botin’s nephew. He renamed the restaurant as Sobrino de Botin (“Sobrino” means nephew in Spanish). The famous Spanish artist, Francisco Goya once served as one of the staffs in Botin.